I had previously blogged about the Ride to the Somme. On the 13th the BBC Countryfile program was dedicated to Remembrance day featuring the Ride to the Somme. Bicycle battalions were mentioned but the main focus was the Army Cycle Corps. It was an interesting program and I would recommend watching it. Jonathan Trapman presents an epic journey within this heptalogy (series of 7) and dynastic tale taking its starting point from a true story his forebear initiated, some 230 years ago. An action changing the course of history. Through the lens of seven individual journeys, truths, realities and all kinds of deception are revealed. The hero in each confronts the very tenet upon which humanity’s journey is mapped out upon. See the real life of Capt. Albert Henry William TRAPMANN / TRAPMAN former Capt. / Adjutant with the 26th Middlesex and then the 25th London (Cyclists) Battalion. This week the 25th County of London Cyclist Battalion featured on the BBC program “Inside the factory : Bicycles” (Series 2, no.4). At the 24 minute mark several photos from the 25th London Bn. website were used, including two in which my grandfather appeared, not surprisingly as they were from his photo album. The 25th Londons are also acknowledged in the end credits. This is one of the featured photographs, my grandfather the 5th from the right. It is also available to view on the BBC iPlayer apps for ipad & android (tablet & phone). Apart from the short section on the use of bicycles in the military, the show as a whole is interesting and worth watching. A new book has been published about Military Bicycles in the Great War. The author has included information gleaned from the 25th London Cyclist website, as well as the 1932 Londons book..
Ride to the Somme will commemorate the cycling soldiers that fought and fell during the Battle of the Somme in 1916 as they ride 250 miles over 3 days. The Ride will commence on Wednesday 31st August and will culminate at The Thiepval Memorial. When cyclists enlist for the ride they will be asked to select a battalion that they wish to represent. It will be a fund raising ride for SSAFA, the Armed Forces charity, is the UK’s oldest national tri-service charity. At the outbreak of World War One, the Government called on it to take care of the families of the Armed Forces going to the Front. Ride to the Somme is a fundraising event with money raised helping servicemen and women, veterans and their families in need following present day conflicts. It is their intention to lay a wreaths at Pozieres and Thiepval. Serving and former soldiers of the 25th London Cyclists fought in France, by either being either attached to or by being formally transferred to other battalions. 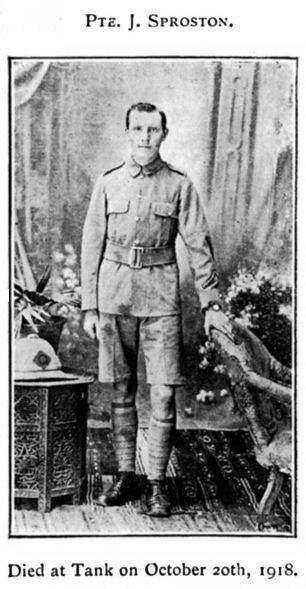 CONGDON, Archibald G.; CONSTANTINE, A. George; COURT, Alfred G.
An article featuring Private John (Jack) Colin SPROSTON has been published in the August edition of Family Tree Magazine. Jack Sproston died on the 20th of October 1918 at Tank, Waziristan, of pneumonia coming after influenza. My thanks to David Roberts and Russell Ridout. 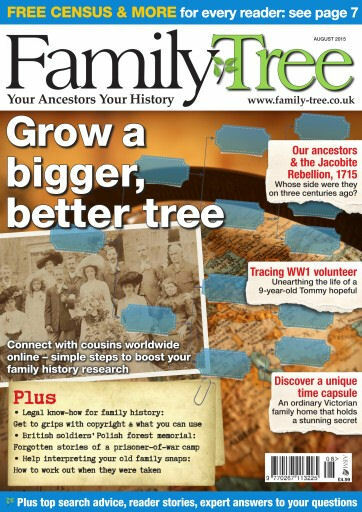 Acknowledgements to Family Tree magazine.